Dr. Prasad has done M.A., M Phil and Ph.D. from the School of International Studies, Centre for International Politics, Organisation and Disarmament, Jawaharlal Nehru University, New Delhi. He was awarded Ph.D on Inter-Parliamentary Union: Its Agenda and Impact in the Post Second World War period, which was later published as a book titled – “Towards World Parliament: A Saga of IPU, A Study in the International Organization”. He is trained in research and analysis. Further, he has two books of international quality to his name and has been the Editor of Bhugol our Aap, a Hindi bi-monthly magazine on environmental issues from its inception. He is also on the panel of editorial advisors for the G'nY magazine that has been covering all aspects of environmental issues for the last 17 years. Dr. Prasad has been associated with LIGHTS since 2003 and has participated in many charitable activities undertaken by LIGHTS. Dr. Prasad has worked with Indian Parliament in various capacities since October 1994. He took Voluntary retirement from service in 2017. At the time of VRS he worked as Addl. Director. He has got a vast experience in the functioning of Parliamentary system. Sh. 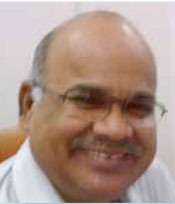 Bal Shekar, former Secretary General, Lok Sabha, has a rich experience of 33 years in the Administrative/ Executive/ Legislative/ Committee services in the Indian Parliament including being Chief of Protocol and Conference Branch involving event management and visits to various countries on conference duty as Secretary to Parliamentary delegations. Sh. Bal Shekar holds a First Division in M.A English Literature from the University of Madras. He has rendered advice on various matters of Parliamentary practice and procedure to the Hon’ble Speaker and to the Lok Sabha. Being the head of the Lok Sabha Secretariat, he has handled all aspects of administrative work of the Secretariat consisting of about 3000 employees. He has been a permanent faculty member of the Bureau of Parliamentary Studies and Training, which is an institution under the Lok Sabha imparting training to members of parliament, speakers and officers of parliament from various countries all over the world. He has organized several international and national level conferences on parliamentary matters, apart from organizing various ceremonies and functions in the Central Hall of Parliament including arrangements for addresses by international dignitaries such as the U.S President, etc. He has guided research activities of the Research Division of the Lok Sabha Secretariat to produce various papers to enable the Speaker and members of parliament to participate at various international events. Sh. N.K. 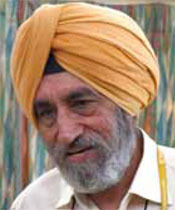 Singh is a Senior Honorary Faculty with PARI and specialises in the functioning of Committee System in the Parliament. Sh. Singh did his MA in Political Science from Center for Political Studies, (CPS), Jawaharlal Nehru University, before joining Rajya Sabha Secretariat as Research Officer. He tirelessly worked for Rajya Sabha Secretariat in various capacities for about 35 years and retired as Addl. Secretary. He has vast experience in parliamentary functioning. He has worked in all the major parliamentary standing committees and he is responsible for establishing Ethics Committee in Rajya Sabha. Currently he is Lok Sabha Fellow for issues related to Sub-ordinate Legislation. 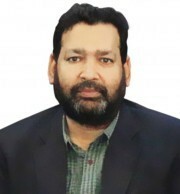 He has been a regular resource person for Bureau of Parliamentary Studies & Training (BPST) and Institute of Constitutional and Parliamentary Studies (ICPS). Sh. 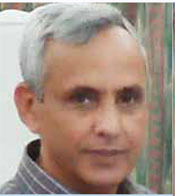 K.S.Nagi is an honorary faculty with the PARI. Sh. Nagi joined the Ministry of Health, Govt. of India in 1974. in 1979, he was inducted in the Parliament Section of the Ministry as Parliament Assistant. Since then he has been handling the Parliamentary work for the Ministry. He superannuated in 2011 as Deputy Secretary, Parliament and from the very next day he has been working as Advisor, Parliament in the Ministry of Health & Family Welfare. He is a storehouse of experience as far as parliamentary procedure and the role of the ministries in dealing with the Parliament is concerned. Parliamentary and Administrative Research Institute (PARI) was established with a view to undertake meaningful research on parliamentary and administrative issues in India. In India, the relationship between the Executive and the Legislature is very very demanding. Therefore, the Executive has to orient itself to the requirement of the Legislature and at times it has to adapt to the demand resulting in the need of reforms. Likewise, the Legislature also has to sometime make amends so that it becomes easier for the Executive to implement the laws passed by the Parliament. In order to understand the fine nuances of parliamentary procedure and practice and orient the respondents, PARI has brought out certain capacity building courses on Parliamentary procedure which enable the stakeholders to deal with the Parliament efficiently. The capacity building courses are tailor-made for officers of the ministries/department/PSUs.